Summer Solstice & Full Moon Yoga for All! Summer Solstice and Super Full Moon Yoga for All! 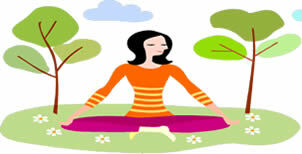 Yoga from 10:00-11:30am, followed by a farm tour, a light lunch, fun and fellowship! Bring your own yoga mat, walking shoes and “farm friendly” clothes for playing with the goats. A free will offering will be accepted to support the work of Loaves and Fishes Farms.